Blues legend Etta James was finally laid to rest last Saturday, surrounded by hundreds of mourners and fellow celebrities who had come to pay their respects to the singer who had helped to inspire and shape their own careers. 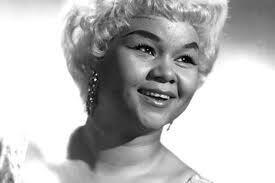 R&B and Blues singer Etta James was diagnosed with leukaemia earlier in the year and finally passed away on the 20th January 2012 at the age of 73, much to the sadness of her fans and friends everywhere. James was hailed by many as ‘the greatest of all modern blues singers’ and despite having a somewhat troubled life that was plagued with bouts of drug dependency, enjoyed a musical career that spanned almost six decades – a triumphant feat for a female R&B star. After her death, scores of celebrities and like-minded divas choose to pay tribute to the ‘At Last’ singer, with celebrities such as Beyoncé and Adele opening up within days of her death to talk of how the sultry singer had influenced their own careers. Several stars including Christina Aguilera and Stevie Wonder attended the singer’s funeral, which was conducted at Los Angeles’s City of Refuge church. During the service a rendition of the much-loved classic ‘At Last’ was sung by an emotional Christina Aguilera. This entry was posted on Thursday, February 2nd, 2012 at 1:15 pm	and is filed under Music News. You can follow any responses to this entry through the RSS 2.0 feed. Both comments and pings are currently closed.